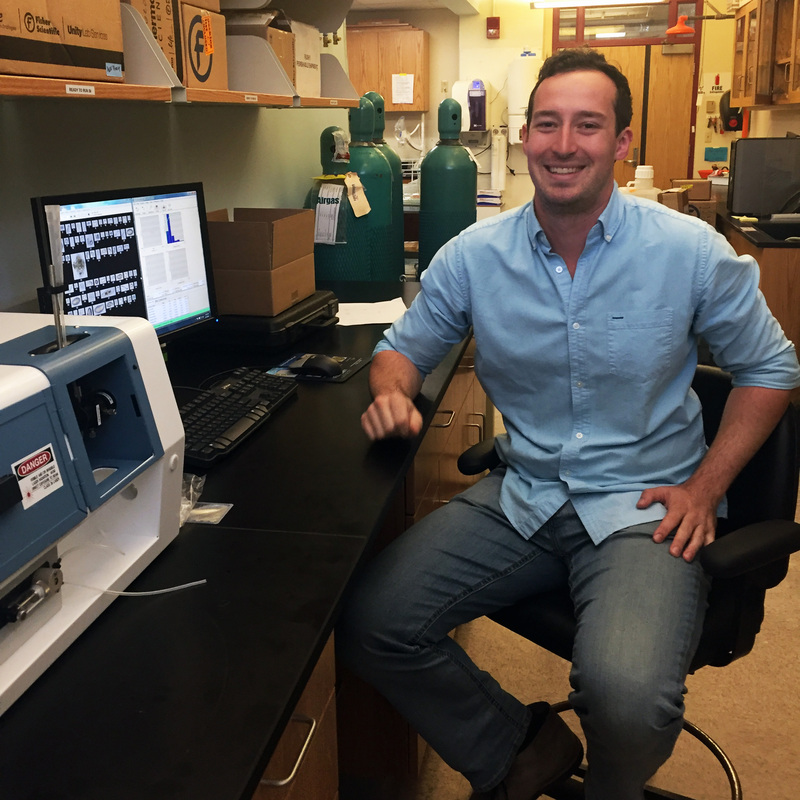 SCARBOROUGH, Maine - June 7, 2016 - Laboratory instrumentation manufacturer Fluid Imaging Technologies, Scarborough, Maine has awarded its 2016 Aquatic Research Student Equipment and Travel Grant to Nicholas Ray, Ph.D. student, Boston University, Department of Biology, Boston, Massachusetts under the supervision of Dr. Robinson Fulweiler. His proposal, Bivalve Control of Coastal Phytoplankton Communities, was selected after a series of in-depth reviews by a panel of independent aquatic scientists. Judging criteria included scientific merit, appropriate use of the FlowCam® and the ability to obtain measurable results during a research period of four months. Ray has received the use of a FlowCam, an imaging particle analysis instrument from Fluid Imaging Technologies, as well as comprehensive instrument training and on-going technical support throughout the research project. He will also receive a trip to a North American conference specific to aquatics ecology to present his research findings. Graduate students and senior undergraduates enrolled at a North American college or university who are studying marine or freshwater ecosystems, having a focus on microorganisms are encouraged to apply for the use of a FlowCam to support their research. For information about next year's Aquatic Research Student Equipment and Travel Grant submission dates and guidelines, please contact Joyce Brown. About Fluid Imaging Technologies, Inc. - Fluid Imaging Technologies, Inc. manufactures industry-leading particle analysis instrumentation based on digital imaging technology. Its flagship product, the FlowCam®, is the first automated particle analysis instrument to use digital imaging for measuring size and shape of microscopic particles in a fluid medium. With applications in oceanographic research, municipal water, biopharmaceutical formulations, biofuels and many other markets, Fluid Imaging Technologies continues to lead the way in imaging particle analysis. For more information please visit www.fluidimaging.com.